President Trump bragged to world leaders at the United Nations that U.S. jobs growth is better than it has been "in a very long time." But job growth was actually better last year than it is now. "Companies are moving back, creating job growth, the likes of which our country has not seen in a very long time," Trump said. 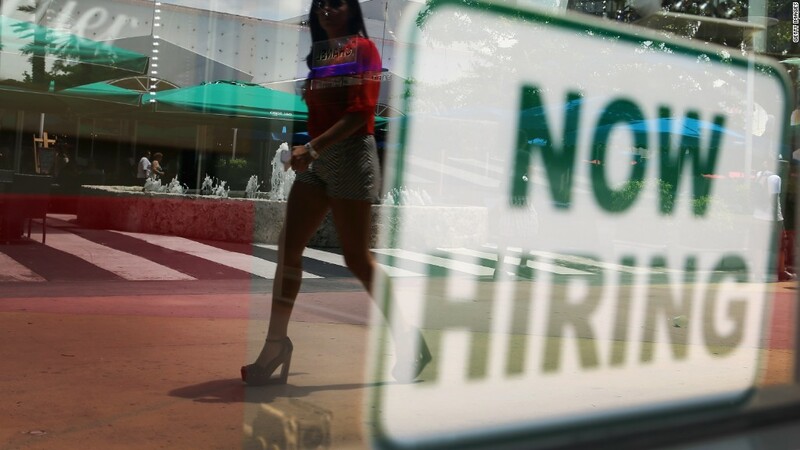 The U.S. has added an average of 176,000 new jobs a month so far this year. Last year the U.S. economy added an average of 194,000 jobs a month in the same period, between January and August. The full-year average for 2016 was also above 2017's pace at 187,000 jobs a month, according to Labor Department data. Trump began his remarks on Tuesday by citing the economy's progress since November when he won the election. But the pace of job growth since last November, averaging 172,000 new jobs, is still lower than in 2016. And it wasn't just last year that was better. In 2015, job growth averaged 226,000 a month. In 2014 it was 250,000 jobs a month. A few of Trump's other claims were on the mark. He was correct when he told the UN that the stock market is at an all-time high -- the Dow and S&P 500 continue to hover around or reach all-time highs these days. He also said unemployment is at its lowest level in 16 years, and the current rate of 4.4%, is indeed nearly the lowest in 16 years. Finally, he said there are more people working in the United States than ever before. Given the size of the labor force and the number of Americans who have jobs, that's generally accurate. Some companies may be moving jobs to the United States, but job growth simply isn't the best it's been "in a very long time." The White House did not respond to a request for comment.